Raw Wildflower Honey from Carmel Honey Company- The perfect all-around "polyfloral" honey made in California. The honey is collected from multiple flower sources. What began as a 5ht grade project is now a family enterprise! "Spice" Votive from Big Dipper Wax Works- Pure beeswax votive that's scented with cinnamon, orange and clove bud essential oils. 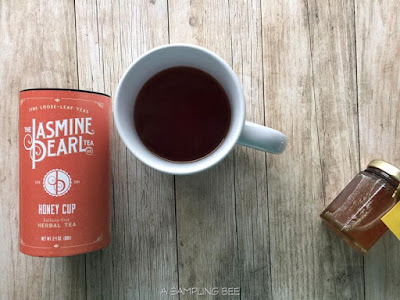 Honey Cup Herbal Tea from The Jasmine Pearl Tea Co.- A Bee-friendly blend of organic rooibos, natural honey flavor and bee pollen. The tea is caffeine free and a longtime favorite of the Hive Box family. 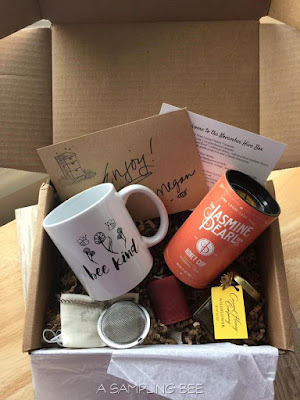 I enjoy opening up the Hive Box each month. I was thrilled to open up November's box because I knew the cute "Bee Kind" mug was inside. I couldn't wait to make a hot cup of Honey Cup Herbal Tea in it. And to try out my new tea strainer (you can have too many of these). :) By the way, the herbal tea is AMAZING! I steeped a cup and had it hot. It's very good cold, too! 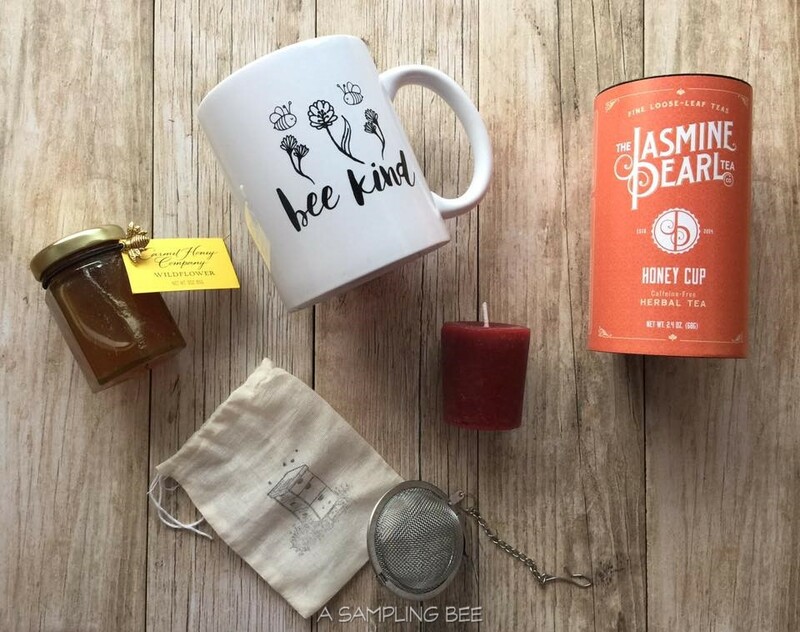 Sweeten with a little Raw Wildflower Honey and sip away! The votive smells amazing! The combination of scents mix well together and the candle leaves my home smelling yummy. 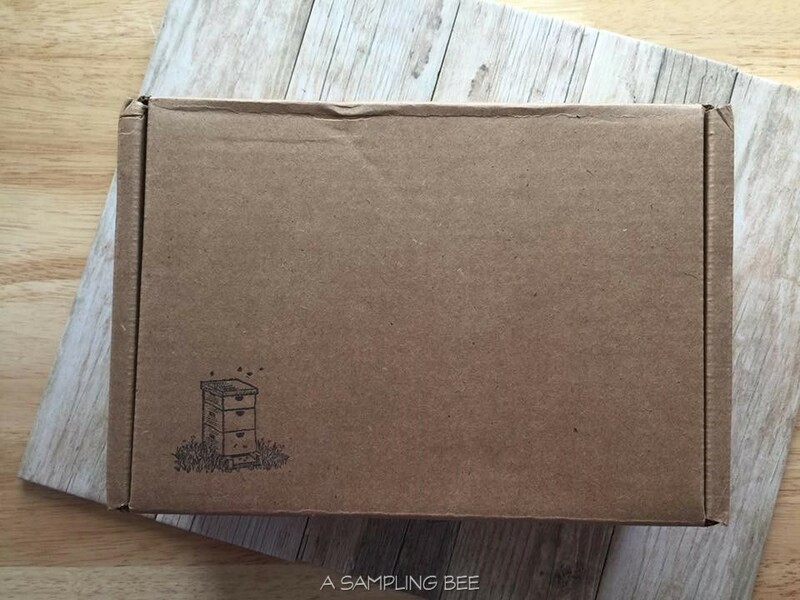 I highly recommend The Hive Box!